presentation | Agile KM for me… and you? Since there will be a lot of event facilitation for me to do at ILRI, it is likely that I blog more about it in the coming months. It makes sense after all, since productive conversations (and learning) are central to my understanding of knowledge management, and well-designed events generate truly productive conversations. Badly designed ones, on the other hand, take us as hostages and they are still all too frequent. We have all been attending ‘death-by-Powerpoint‘(1) conferences and events. Typically, this kind of events would entail: A plenary format (all in the same room) showcasing an endless stream of presentations, usually eating up the time planned for group work (if any at all). In those events, sometimes there is also one or more panel discussions that give a fake impression of conversation. If (over)time allows, the audience may finally be invited to ask a few questions. And perhaps there are a few break out/parallel sessions where more often than not another stream of presentations happens… you get the gist. By letting one person monopolise the power to speak in the audience, they are freezing the (costly) time of everyone in the assembly – whether they are interested or not. Precisely, not everyone may be interested in the topic discussed in the plenary session, but there is no way out! While precious enthusiastic conversations could be taking place instead, everyone is stuck in a long monologuing prison. Particularly panel discussions tend to subtly create a competitive dynamic where, unless properly facilitated, every speaker secretly wants to shine more brightly than the others. More long monologues, more delays, more death of attention. The large size of the group (say, in a plenary session of 50 to 300 people) does not create an intimate space where anyone could feel free to express themselves. It can be intimidating to speak in front of 50, 100 or 500 people. So the same type of people will tend to speak again and again – missed opportunity for a richer perspective. Because time becomes such a pressing issue after all these delays, time planned for group discussions is pushed to almost nil, locking further opportunities for a rich dialogue. If that group work session ends up being another set of Powerpoint presentations, there is even less time for dialogue. Monologues favour only one perspective and perhaps only a few questions. It is a shallow exploration. In participatory mode, participants could jointly elaborate solutions together and explore at much more depth – and non-speaker participants might even have a lot more to say about a given issue than the invited speaker. The human brain can only handle so much information. 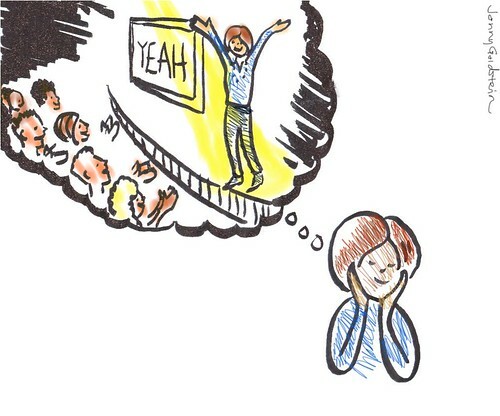 Death-by-Powerpoint events encourage information overdosis to the detriment of learning-oriented conversations, ignoring the wise native American saying: “Tell me and I will forget, show me and I may not remember, involve me and I will understand“. And that is perhaps my whole point here at its simplest. And if we continue with these events, at least speakers should really beef up their communication and presentation skills. From my experience, only 10 to 20% of of speakers in formal plenary sessions really have an interesting story to tell and a compelling way to communicate it. 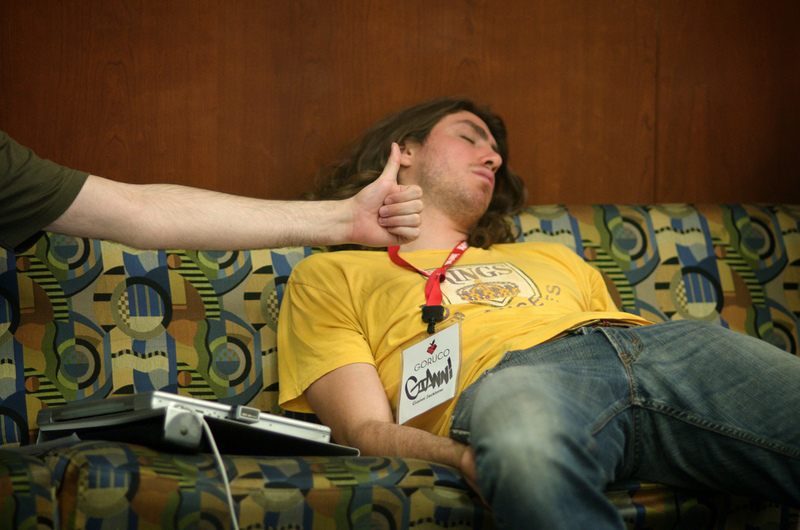 And finally, what about all those sleepy, boredom-struck participants zombified through those poorly designed events? Talking about fun, focus and feedback, we are in 2011 and it is time to stop with hostage-taking conferences, don’t you think? (1) The concept of ‘Death by Powerpoint’ was brilliantly exposed in this old (Powerpoint) presentation. Here, I am looking beyond Powerpoint, which is not a problem in itself, as rightly emphasised in that presentation.